Sitting here with a hot mug at my side, I am struck by how powerful the memory of my first mug of Earl Grey Tea remains. It was during Michaelmas term, and we'd been drinking endless cupfuls of PG Tips at our flat, long afternoons of studying. 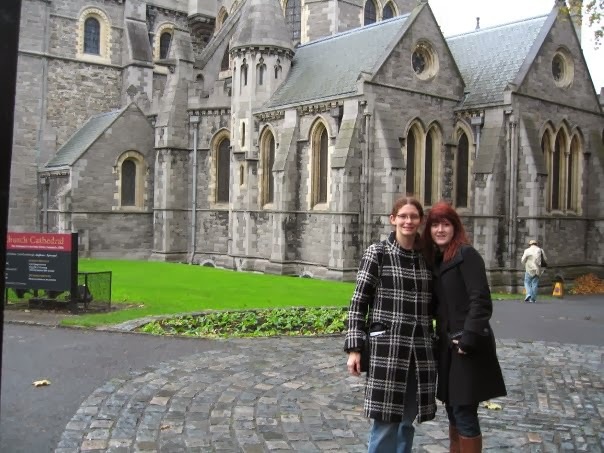 My friend Becca and I decided to spend a weekend with our friend Darla in Dublin, where she was studying at Trinity, and we were in the middle of it, having a wonderful time. We'd gotten back to Darla's adorable flat, fresh from some bar and exhausted. She made us each a mug, no doubt served it with some digestive biscuit, and it tasted like nothing I'd ever had. I remember being almost frantic about it, asking Becca if it was normal, and she said, "Yes, all Earl Grey Tea tastes just like this" and it was as if I'd come home. Moments later, everyone we'd met at the bar somehow rambled into the living room where we were just about to tuck in for the night, and we ended up staying up even later, talking to Darla's Irish friends, who felt so warm just then. Just then, it all felt so warm.